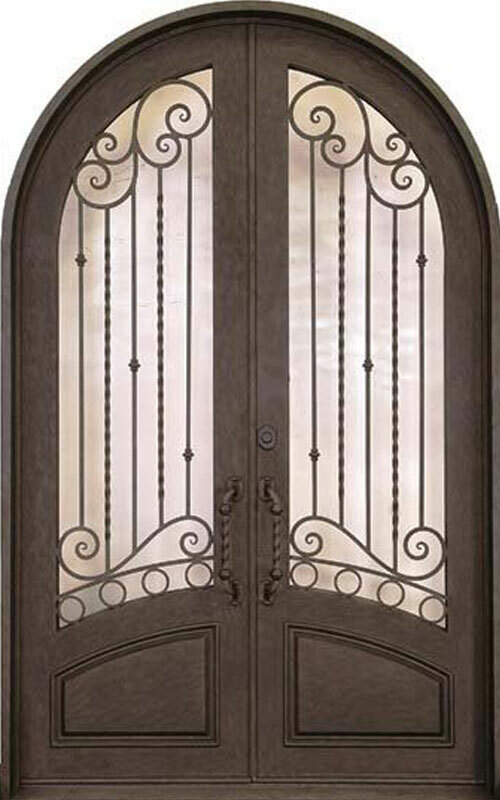 An appreciation for the historic and modern, Orleans is a beauty of raw materials, and ornate scrollwork. Operable, patented, glass, for superior light visibility. 12 Gauge steel construction, with 2” thick panels. Galvanized door and frame with weather stripping. Barrel hinge. Foam Insulated with reduced sound, temperature transmission. Available in Standard or Hurricane Rated. 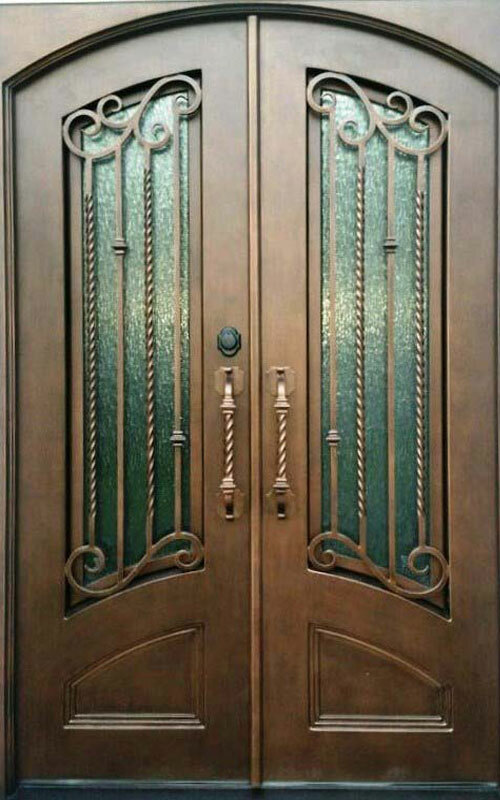 Panel, Glass, Finish: made to order. Options detailed below. Site visit and Installation available. Hurricane & Custom Security enhancements available. For homeowners with an appreciation for the classic beauty of wrought Iron, Ponce is a beauty of raw materials, and muted strength. Operable, patented, glass, for superior light visibility. 12 Gauge steel construction, with 2” thick panels. Galvanized door and frame with weather stripping. Barrel hinge. Foam Insulated with reduced sound, temperature transmission. Available in Standard or Hurricane Rated. 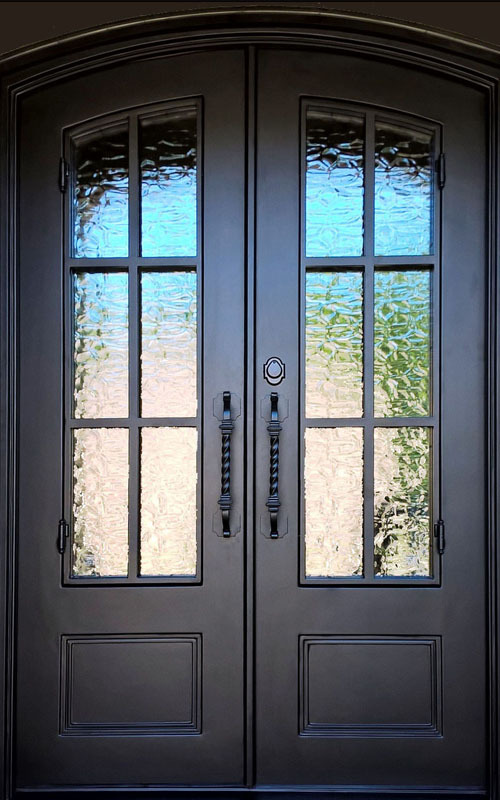 Compliment the architectural style of your home or express your appreciation for historic craftsmanship with Verona. Striking, and minimal, with operable, patented, glass, for superior light visibility. 12 Gauge steel construction, with 2” thick panels. Galvanized door and frame with weather stripping. Barrel hinge. Foam Insulated with reduced sound, temperature transmission. Available in Standard or Hurricane Rated. An appreciation for the historic and modern, Oros is a beauty of raw materials, and geometric balance. Operable, patented, glass, for superior light visibility. 12 Gauge steel construction, with 2” thick panels. Galvanized door and frame with weather stripping. Barrel hinge. Foam Insulated with reduced sound, temperature transmission. Available in Standard or Hurricane Rated. 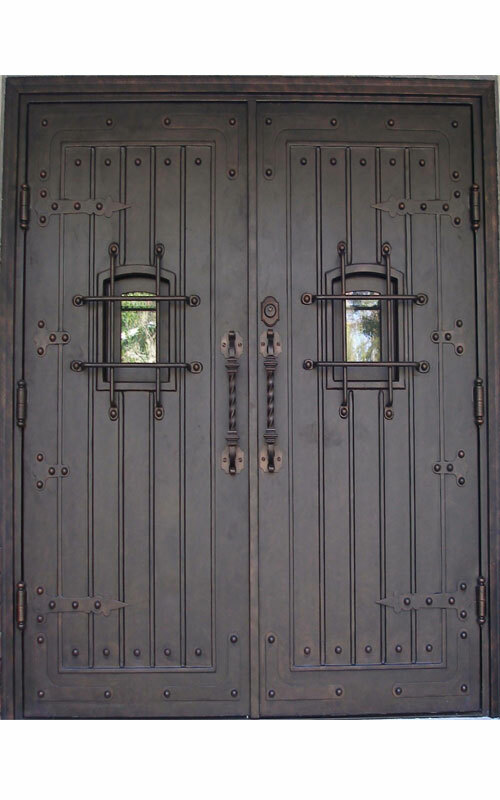 For homeowners with an appreciation for the classic beauty of wrought Iron, Mormont is a beauty of raw materials, and geometric craftsmanship. Operable, patented, glass, for superior light visibility. 12 Gauge steel construction, with 2” thick panels. Galvanized door and frame with weather stripping. Barrel hinge. Foam Insulated with reduced sound, temperature transmission. Available in Standard or Hurricane Rated. 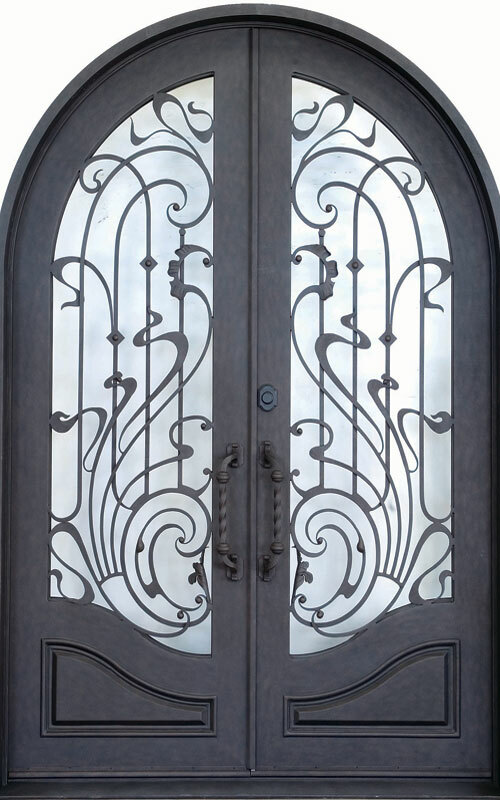 For homeowners with an appreciation for the classic beauty of wrought Iron, Isablea is a beauty of raw materials, elegant scrollwork, and strength. Operable, patented, glass, for superior light visibility. 12 Gauge steel construction, with 2” thick panels. 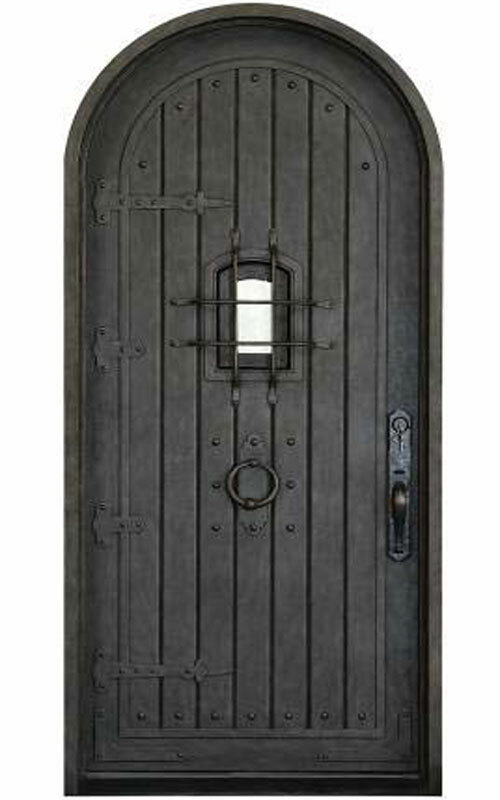 Galvanized door and frame with weather stripping. Barrel hinge. Foam Insulated with reduced sound, temperature transmission. Available in Standard or Hurricane Rated. 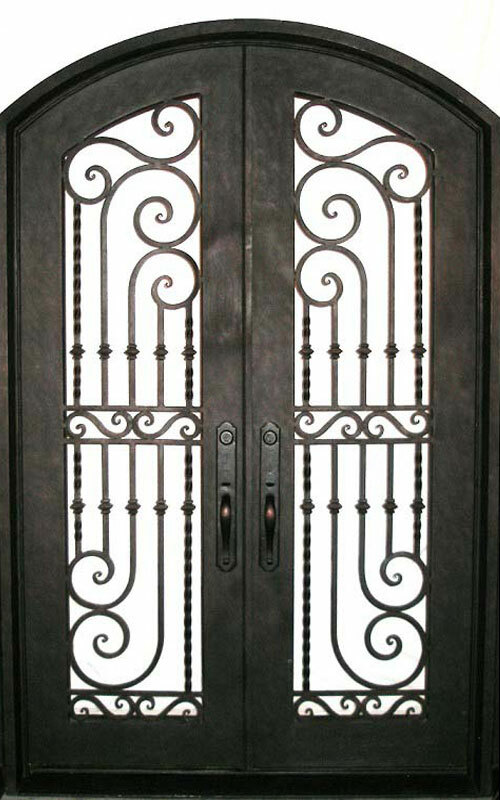 For homeowners with an appreciation for the classic beauty of wrought Iron, Corozal is a beauty of raw materials, and superior elegance. Operable, patented, glass, for superior light visibility. 12 Gauge steel construction, with 2” thick panels. Galvanized door and frame with weather stripping. Barrel hinge. Foam Insulated with reduced sound, temperature transmission. Available in Standard or Hurricane Rated. 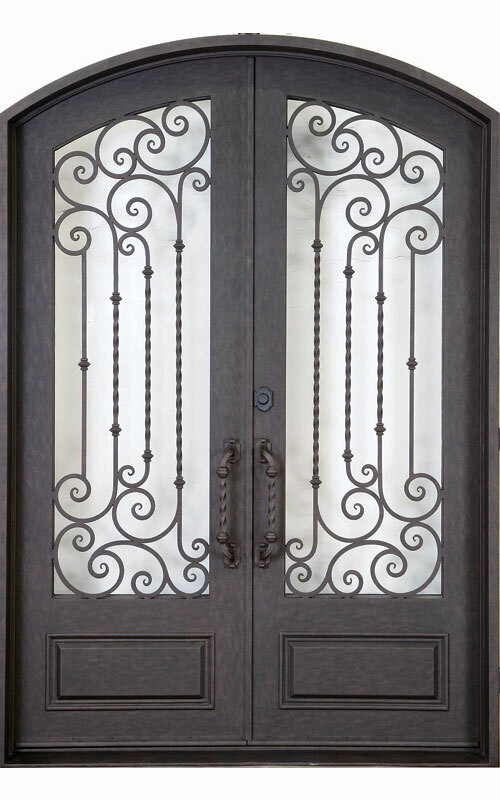 For homeowners with an appreciation for the elegant beauty of wrought Iron, Castlebar is a beauty of raw materials, detailed scrollwork and rich patinas. Operable, patented, glass, for superior light visibility. 12 Gauge steel construction, with 2” thick panels. Galvanized door and frame with weather stripping. Barrel hinge. Foam Insulated with reduced sound, temperature transmission. Available in Standard or Hurricane Rated. 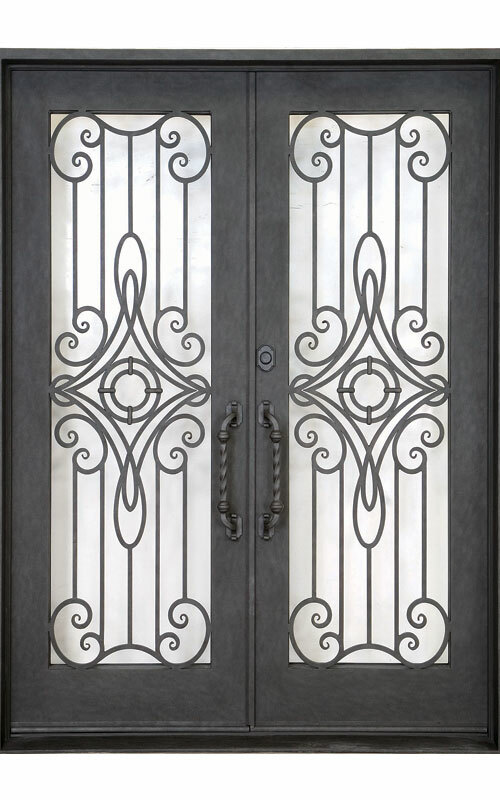 For homeowners with an appreciation for the classic beauty of wrought Iron, Cascade iis a beauty of raw materials, and muted strength. Operable, patented, glass, for superior light visibility. 12 Gauge steel construction, with 2” thick panels. Galvanized door and frame with weather stripping. Barrel hinge. Foam Insulated with reduced sound, temperature transmission. Available in Standard or Hurricane Rated. 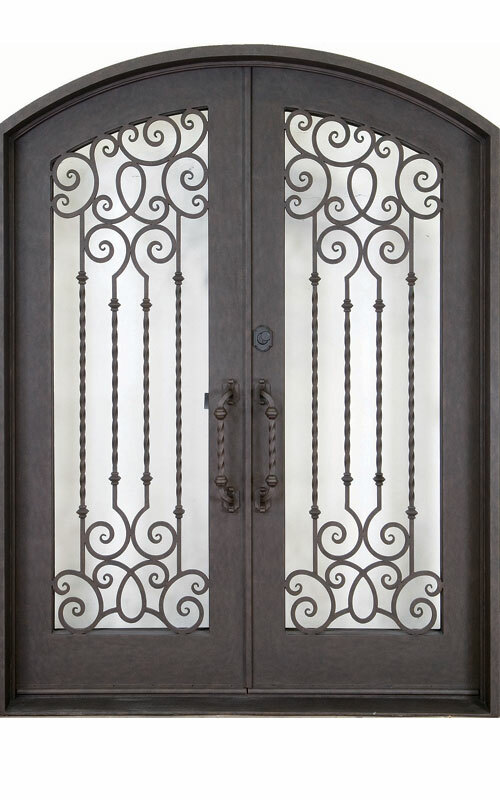 For homeowners with an appreciation for the classic beauty of wrought Iron, Caesira is a beauty of raw materials, and elite scrollwork. Operable, patented, glass, for superior light visibility. 12 Gauge steel construction, with 2” thick panels. 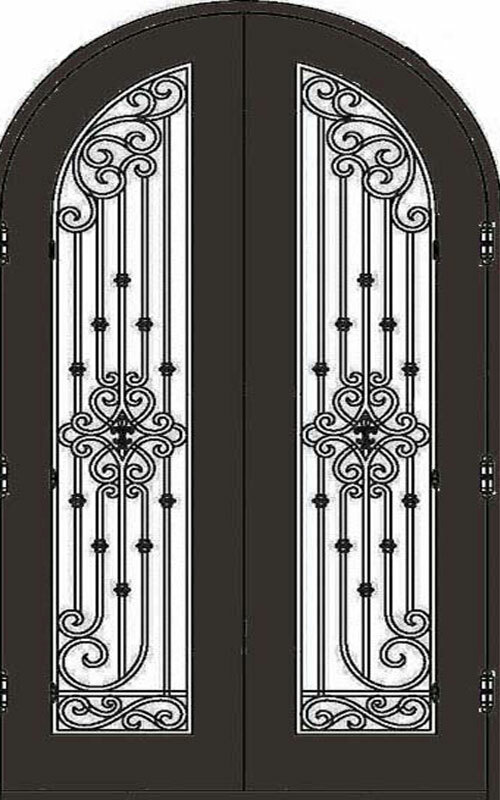 Galvanized door and frame with weather stripping. Barrel hinge. Foam Insulated with reduced sound, temperature transmission. Available in Standard or Hurricane Rated. 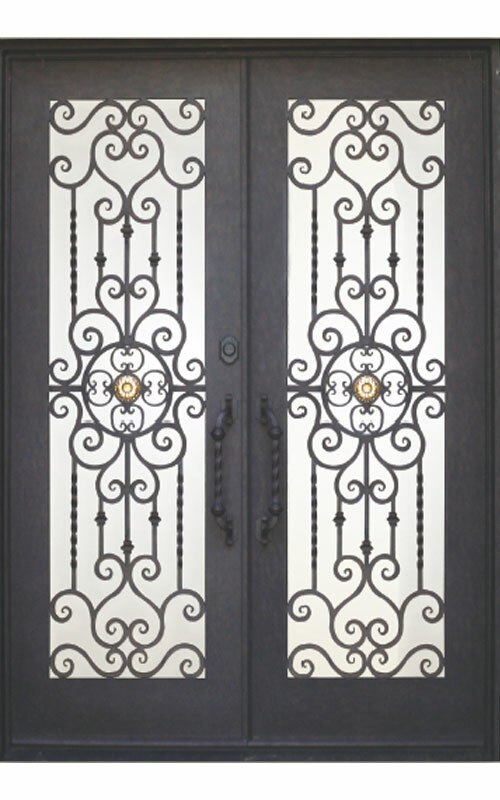 For homeowners with an appreciation for the classic beauty of wrought Iron, Cabo is a beauty of raw materials, and ornate scrollwork. Operable, patented, glass, for superior light visibility. 12 Gauge steel construction, with 2” thick panels. Galvanized door and frame with weather stripping. Barrel hinge. Foam Insulated with reduced sound, temperature transmission. Available in Standard or Hurricane Rated. For homeowners with an appreciation for the classic beauty of wrought Iron, Ansley is a beauty of raw materials, and modern paneling. Operable, patented, glass, for superior light visibility. 12 Gauge steel construction, with 2” thick panels. Galvanized door and frame with weather stripping. Barrel hinge. Foam Insulated with reduced sound, temperature transmission. Available in Standard or Hurricane Rated. © Copyright 2019. Park Avenue Entries, LLC. All rights reserved.